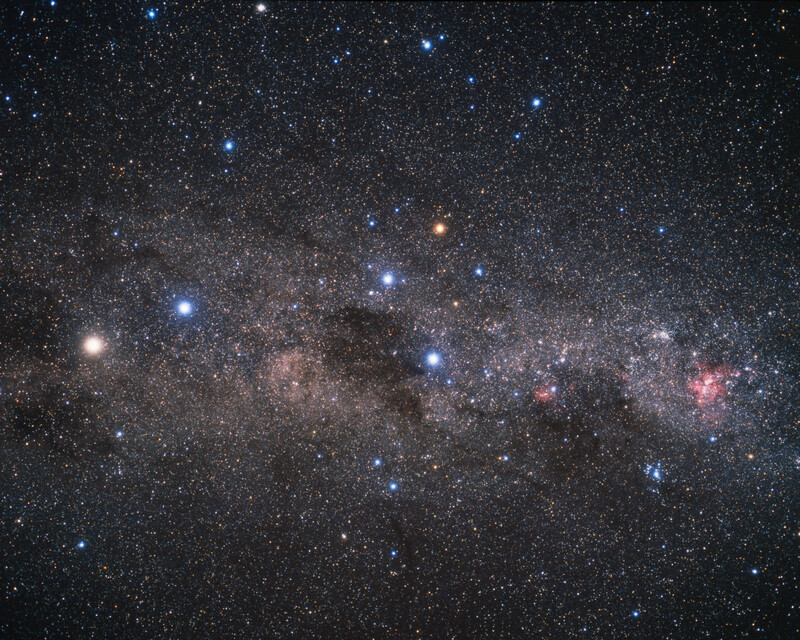 This wide-field image shows the Milky Way stretching across the southern sky. The beautiful Carina Nebula (NGC 3372) is seen at the right of the image glowing in red. It is within this spiral arm of our Milky Way that the bright star cluster NGC 3603 resides. 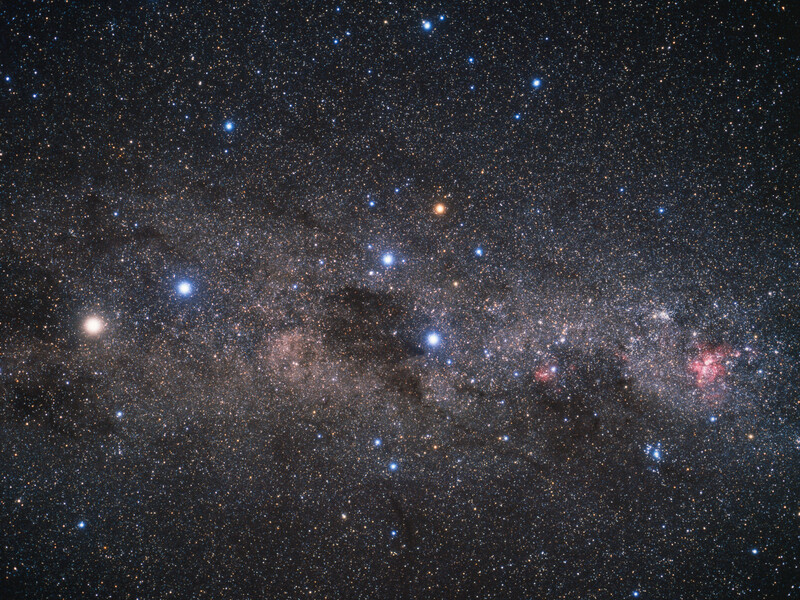 At the centre of the image is the constellation of Crux (The Southern Cross). 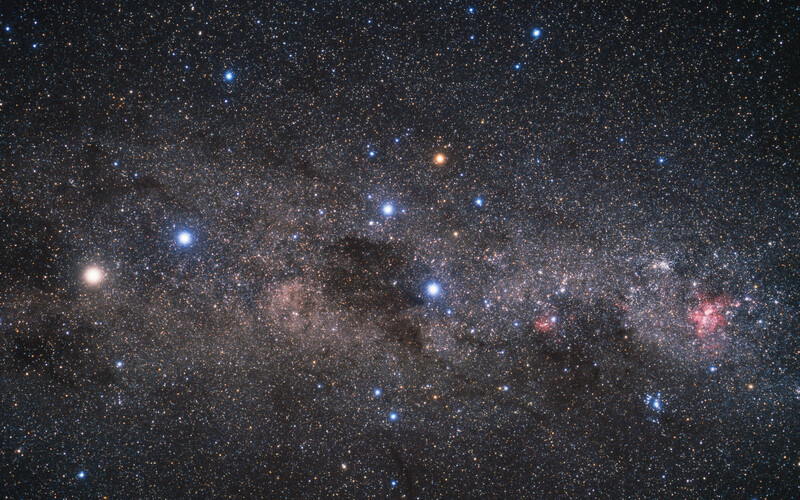 The bright yellow/white star at the left of the image is Alpha Centauri, in fact a system of three stars, at a distance of about 4.4 light-years from Earth. The star Alpha Centauri C, Proxima Centauri, is the closest star to the Solar System.